I saw it happen several times as a United Methodist missionary living in Cameroon, West Africa. Many of them followed through, either by returning to Africa for a longer term of service, or by becoming regular contributors to a particular ministry. This pattern has been repeated thousands of times over in the last couple of decades; this “torrent of American do-gooders,” as journalist and author John Donnelly refers to it, has flooded Africa to help children in record numbers, efforts which have largely gone undocumented by state or governmental authorities. Have these efforts actually made a difference in the lives of children? And are these differences positive or negative? 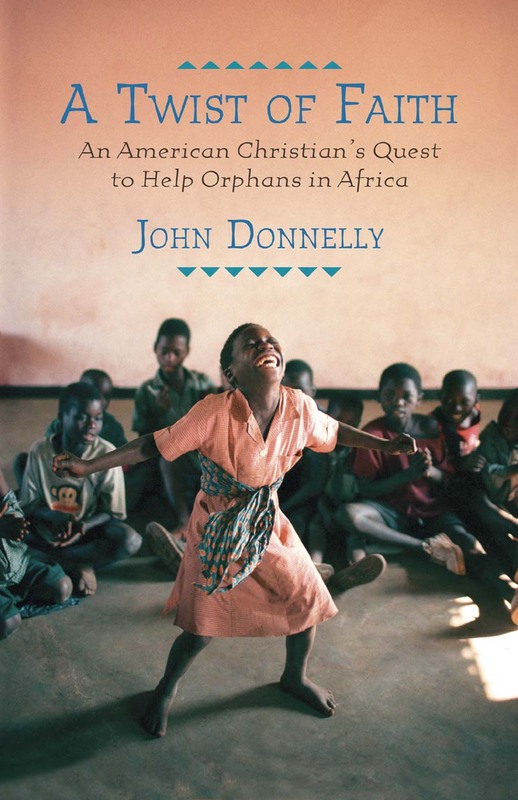 Mr. Donnelly attempts to answer these questions in his book, Twist of Faith: An American Christian’s Quest to Help Orphans in Africa. Mr. Donnelly frames the debate with the story of one particular American Christian, a man named Paul Dixon from North Carolina who visited Malawi in 2002. While visiting the country, Mr. Dixon felt as if he heard God instruct him to give his life in service to African children. The story of Mr. Dixon’s adventures (and mis-adventures) in Malawi are interwoven with interviews with workers from non-governmental organizations, missionaries and State Department employees, as well as a closer look at some of the high-visibility efforts to assist children in need, including Oprah Winfrey’s academy in Swaziland and Madonna’s charity, Raising Malawi. What Mr. Donnelly discovers is that good intentions often go awry, when Americans arrive on the continent and try to “fix” every problem they can find by throwing money at it. Most of the time, this approach leads to disappointment, shattered relations, and wasted money. His research revealed, for example, that the cost of educating one child in Oprah’s school at the time of its opening was $263,158. During the same period, U.S. government officials considered a program which would place orphans with grandmothers, but were balking at the price—just $200 per year to support a child’s involvement in a local school, including meals and after-school care. Click here for the entire book review, courtesy of United Methodist Reporter. The views and opinions expressed in this book review are those of the author and do not necessarily reflect the official policy or position of the Florida Conference of The United Methodist Church.